Orbiting Mars: Mars Odyssey, Mars Reconnaissance Orbiter, and Mars Express. Roving Mars: Curiosity and Opportunity. Observing the sun: Solar Terrestrial Relations Observatories A and B, the Solar and Heliospheric Observatory, Advanced Composition Explorer, and the Global Geospace Science Satellite. En route to Venus: The Akatsuki probe. Orbiting Venus: The Venus Express. En route to the dwarf planet Ceres: The Dawn probe, fresh off a visit to the asteroid Vesta. En route to Pluto: The New Horizons probe will flyby the dwarf planet and its moons in 2015. En route to Jupiter: Juno will arrive in 2016. Orbiting Saturn: Cassini has been observing Saturn and its moons since 2004. En route to asteroids and comets: Chang'e 2 and Rosetta. 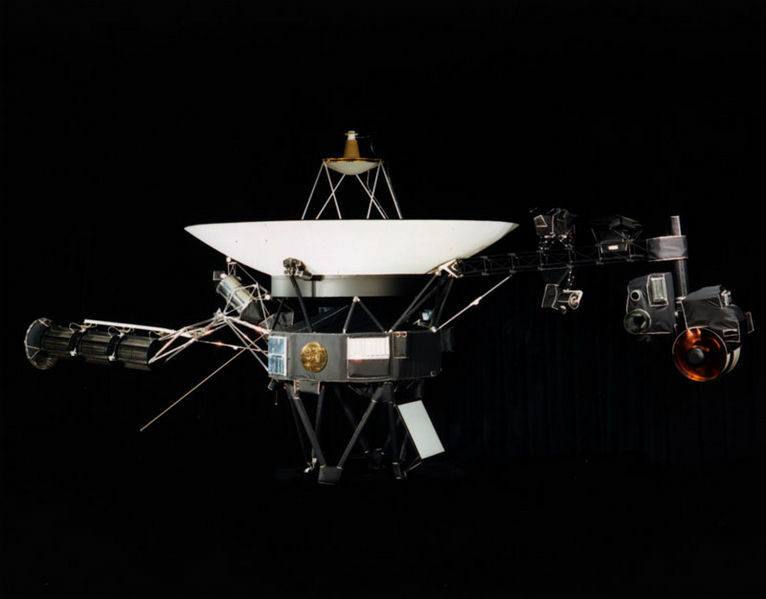 Heading for interstellar space: Voyagers 1 and 2, which are leaving the solar system at speeds of over 34,000 miles per hour. Quite an accomplishment for a species that first achieved powered flight not much more than a century ago! One result of all this exploring is that right now, around the world, there are hundreds of human beings whose job is communicating with robots orbiting Saturn, or roaming Mars, or headed towards a close-ish encounter with the Sirius binary star system (Voyager 2 will cruise within 4.5 light years of that star in 296,000 years). 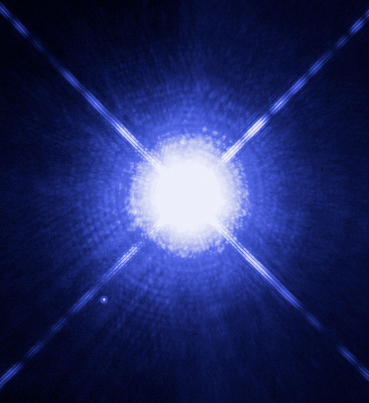 The Sirius system, as viewed by the Hubble Space Telescope. When I counted up all these active interplanetary missions, I started to wonder: how exactly do we communicate with all these spacecrafts? There are so many of them, and they're all so far away. Voyager 2, for example, is over 11.3 billion miles from Earth! NASA scientists communicate with interplanetary and interstellar probes via radio waves. 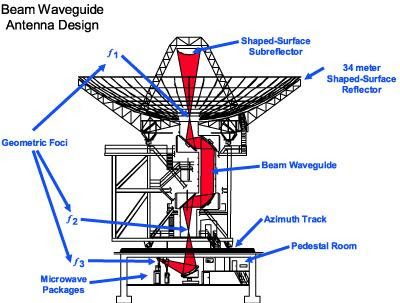 They send and receive these waves using detectors and transmitters situated inside enormous dish-shaped antennas. Primary, NASA missions rely on dish antennas installed at three facilities around the world. Together, these three facilities comprise the Deep Space Network. 1. Goldstone Observatory in California's Mojave Desert. It's situated 45 miles outside Barstow, California. 2. 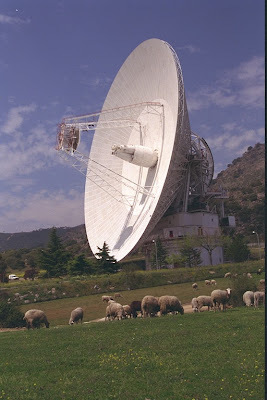 The Madrid Deep Space Communication Complex. It's situated 37 miles outside Madrid, Spain. 3. 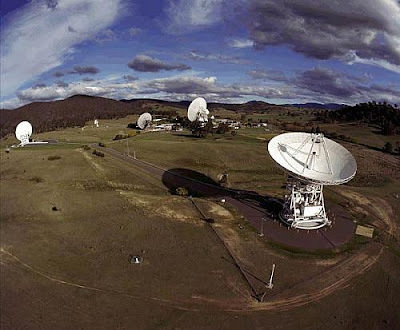 The Canberra Deep Space Communication Complex. It's situated 25 miles outside Canberra, Australia. 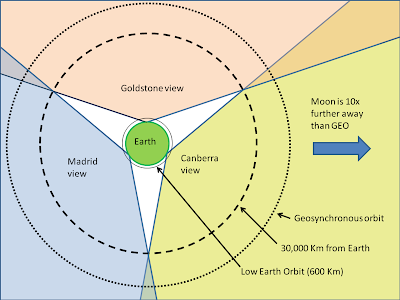 The Deep Space Network consists of these the three sites because Barstow, Madrid, and Canberra are positioned roughly a third of the world apart from the other. This ensures that as the Earth rotates one of them is always able to receive signals from deep space. Additionally, the three locations are fairly remote, reducing interference from Earth-based radio sources. The dish antennas at the three sites are all set in the center of bowl-shaped valleys in semi-mountainous areas, further isolating them from interference. The Deep Space Network's 360 degree view of outer space. Each of the three Deep Space Network locations has at least four dish antennas, ranging in size from 85 feet in diameter to 230 feet in diameter. These dishes funnel radio signals towards detectors sitting below the dishes. The detectors receive high frequency radio waves from spacecraft and send back instructions via a powerful radio signals. A dish antenna, like those that make up the Deep Space Network. The Deep Space Network serves other functions besides allowing communication between Earth-based scientists and spacecraft. Its antennas can also be used to determine a probe's distance from Earth, accurate to a distance of less than 30 feet. This tracking is necessary because the probes are too small to see with telescopes. 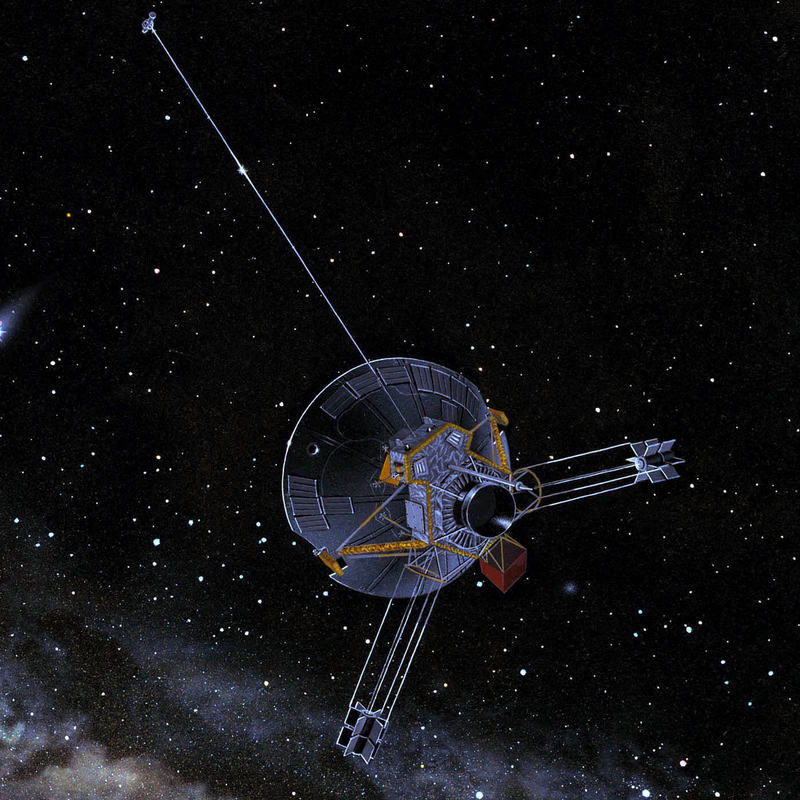 Spacecraft tracking occurs through a process called "ranging": the dish transmits a signal to the probe, and the probe's computer knows to immediately transmit this signal right back to Earth. The time between sending the signal and receiving the reply, minus the turnaround time and divided by two, is the distance it took light to travel to the craft! The Deep Space Network's dishes are also used by astronomers to study planets, stars and other objects in our solar system and beyond. Some of the Network's smaller (85 foot in diameter) dishes are used to communicate with Earth-orbiting satellites. The high-gain antenna used for transmitting to Earth is the large dish on the back of the craft. According to JPL, NASA's interplanetary mission teams rely on a "sophisticated scheduling system" and "teams of hundreds of negotiators" to coordinate sharing of the Deep Space Network's facilities. 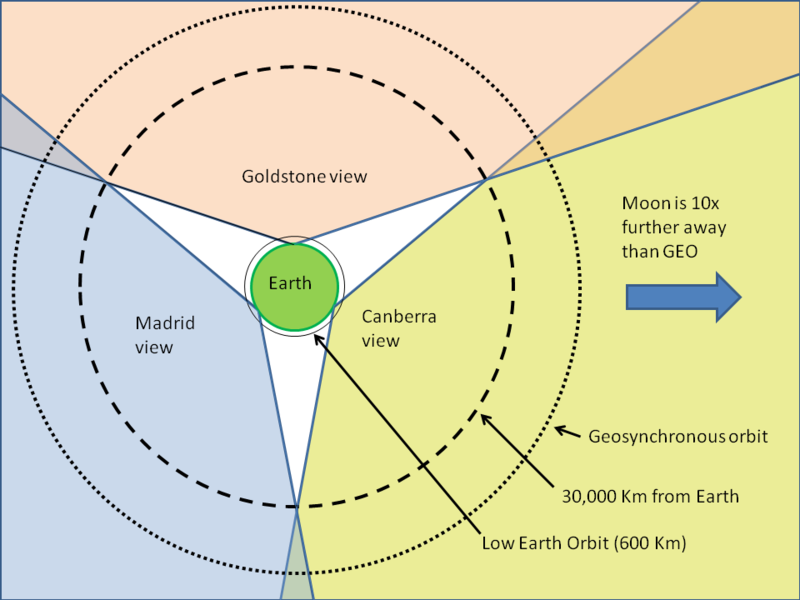 The Network telescopes in a given location can simultaneously receive data from multiple spacecraft, so the Network is not limited to serving one craft at a time. However, the Network's capacity is being tested... missions like Opportunity and the Voyagers are long outliving their planned lifetimes, by years and sometimes even decades. Meanwhile, new spacecraft are sent out explore. So, there is growing concern that one day soon we'll need more extraterrestrial communication abilities than the Network provides. 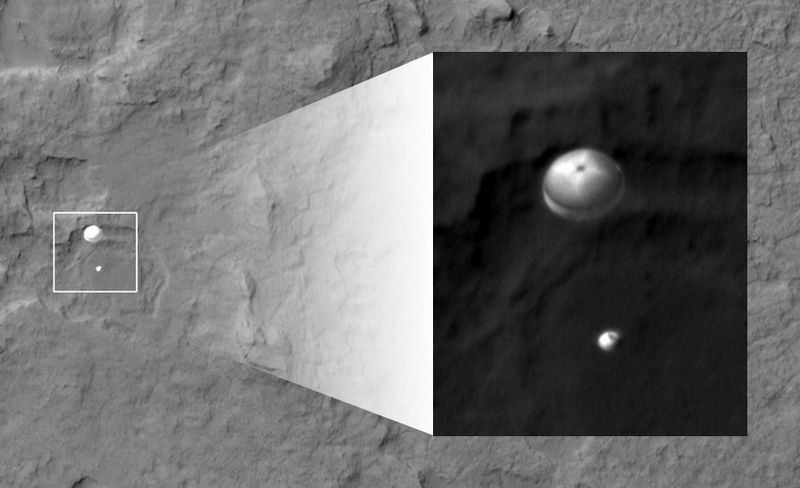 We now have Martian spacecraft spying on our other Martian spacecraft! For now, the Deep Space Network is shared by each planetary mission according to a predetermined schedule. Even an extremely active mission, like Curiosity, typically only uses the Deep Space Network to send and receive data for a couple hours once or twice a day. However, this can change in an emergency. If something goes wrong with one of the spacecraft exploring the solar system, engineers will put into use the largest Deep Space Network antennas. They'll array these antennas to send and receive bigger than normal amounts of data to the craft, in the hopes of determining what has gone wrong and fixing it. Cassini's view of Saturn. Can you see the teeny tiny dot on the left, near the second farthest out ring? There's even an instance of the Deep Space Network being used to rescue astronauts! When an oxygen tank aboard Apollo 13's service module exploded on April 13, 1970, it left the crew without enough electricity (generated by fuel cells that ran on oxygen and hydrogen) to run their spacecraft at full power. So, in a desperate attempt to conserve the craft's limited power supply, the astronauts shut down all but a few instruments. You'll recall from the movie Apollo 13 that the Commander Lovell and the crew spent the rest of their mission floating in near darkness, in freezing temperatures. Without the electricity to run the craft's power-hungry high-gain antennas, the astronauts relied on the craft's weaker antenna to communicate with Earth. This antenna's signals were too weak for the Manned Space Flight Network radio dishes to receive, so the Deep Space Network stepped in. The biggest Deep Space Network antennas in existence at the time were arrayed to send and receive signals from the craft. The resulting communication was a bit patchy, but good enough to get the crew home. 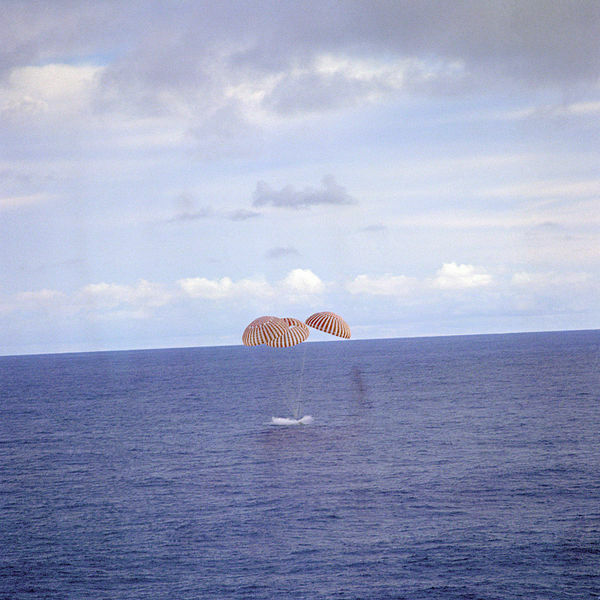 Apollo 13 splashes down safely. Note: Part II of this post is available here! Sources: io9, JPL, Supernova Condensate, Wikipedia, Space Today, Popular Mechanics. Thanks, Supernovacondensate! Your post about Voyager helped put the question in my mind in the first place!